A three Judge Bench of the Pakistan Supreme Court headed by Chief Justice Jawwad S. Khawaja has reportedly expressed dissatisfaction with the restoration work of a Hindu Temple in the Khyber-Pukhtunkhwa and ordered the Government to hire a renowned architect for the task. The Bench directed the authorities to come up with a plan to rebuild the Shri Paramhans Ji Maharaj's Samadhi, which was destroyed by fanatics in 1997. It hence ordered Karak Deputy Commissioner (DC) Shoaib Jadoon and provincial Home Secretary Arbab Mohammad Arif to hire an expert architect for proper restoration and renovation. The Court was informed that its order of restoration was carried out and a boundary wall was built around the structure. “We have also given a right of way to reach the Samadhi through the house of Maulvi Iftikharuddin who was earlier in possession of the temple,” the DC explained. The Court however observed that mere erection of boundary walls was not enough and proposed construction of a new building instead. 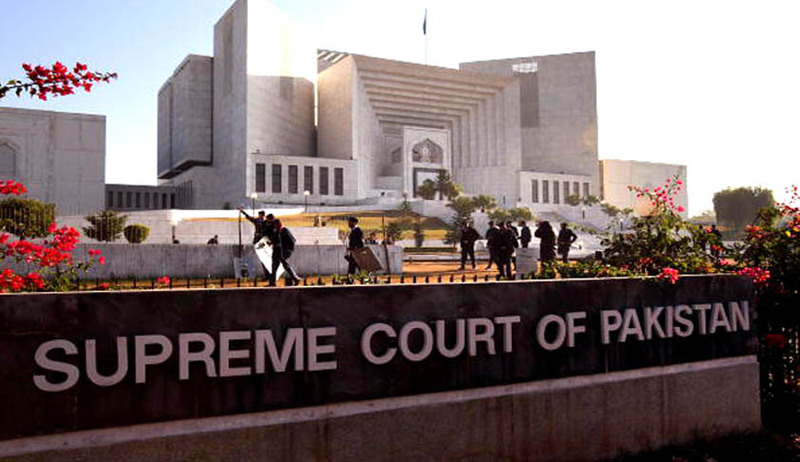 The Chief Justice observed that the surrounding walls will spoil the area, recalling how a temple in Shahalmi Market, Lahore, was reconstructed by architect Kamil Khan, who had a clear understanding of architectural heritage and had provided free consultancy to rebuild the temple. The chief justice said the court could ask the architect to conserve the temple. A report was also submitted before the Bench by K-P’s Additional Advocate General Waqar Ahmad Khan. The report reportedly states that in compliance with the court order, a meeting of Ulema hailing from Karak was convened on February 15 under the chairmanship of Maulana Sharif at BD Shah Tehsil. About 75 Ulema attended the meeting which decided against the reconstruction of the Hindu shrine “due to the current law and order situation in the province”, Karak’s deputy commissioner stated in the report. “It is suggested that a meeting of all concerned be convened to evolve a strategy to deal with any eventuality that might result from implementation of the court judgment,” the report states. The Supreme Court bench, however, expressed reservations over the K- P government’s move of involving the Ulema in the matter. Chief Justice Nasirul Mulk observed that it was not a rational decision to involve the Ulema – instead local people should have been taken into confidence. The Bench hence demanded a fresh report in the matter. Earlier in April, the Apex Court had ordered restoration of the temple, the preservation of which was the bone of contention between the minority community and local religious leaders. The authorities have now been asked to report the progress made in the renovation work during the next hearing on September 7. The history of unrest in the area was traced in a letter written by the-then deputy commissioner of Karak to a deputy secretary of the provincial home department in Feb 2014, which was submitted to the Supreme Court. As per this letter, as reported by Dawn, Shri Param Hans Ki Mehaj died in 1919 and was buried in the shrine Khyber-Pukhtunkhwa. His followers often visited the shrine after his death and the practice continued till 1997. Some locals however destroyed the shrine, and the issue came to light when some Hindu followers of Shri Param tried to restore an old path leading to the shrine, which is now occupied by a local cleric, Mufti Iftikharuddin. As per a report submitted to the apex Court in June, Hindu leaders from Sindh paid Rs 375,000 to the mufti as cost of the land, but he has not vacated the land since 1997.